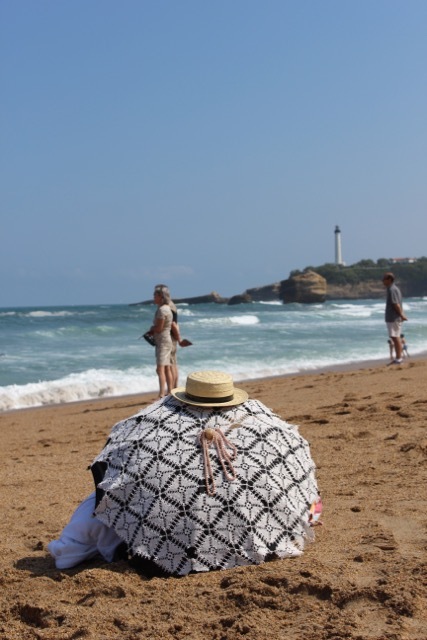 This weekend, we were in the coastal city of Biarritz in the Basque Country of France. Each time I have visited in the past years, the vibe, the oceanic breeze, the shades of light, the views, the people, the bistros and the spirit move me. Here’s why. Marché des Halles: open daily; the sheltered market is my pick for breakfast and to soak up the atmosphere. The zinc counter at one end is a spot to mingle with merchants and catch the latest news. 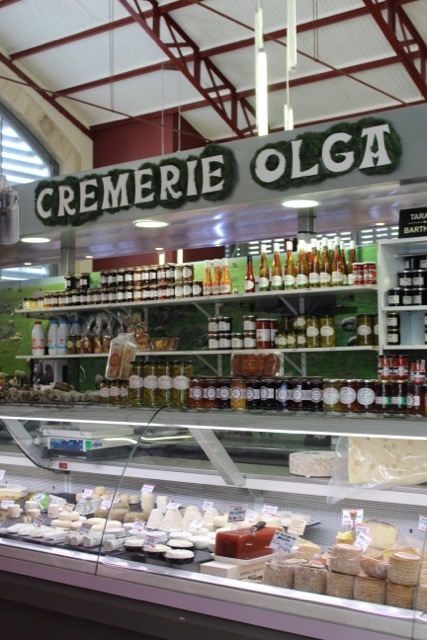 In less than 10mn, we heard of the city’s very first Belle Époque festival (fashion, Basque songs and dance, the traditional les ours blancs dip in the sea, classic cars…), about the newest exhibit at the Guggenheim in Bilbao, and we met Olga, who was recommended for her AOC Ossau-Iraty cheese that she generously samples with black cherry jam. Once the market closes, head to either Café Jean or Café du Commerce for drinks. Guaranteed fun, and wait standing around – part of the tradition. 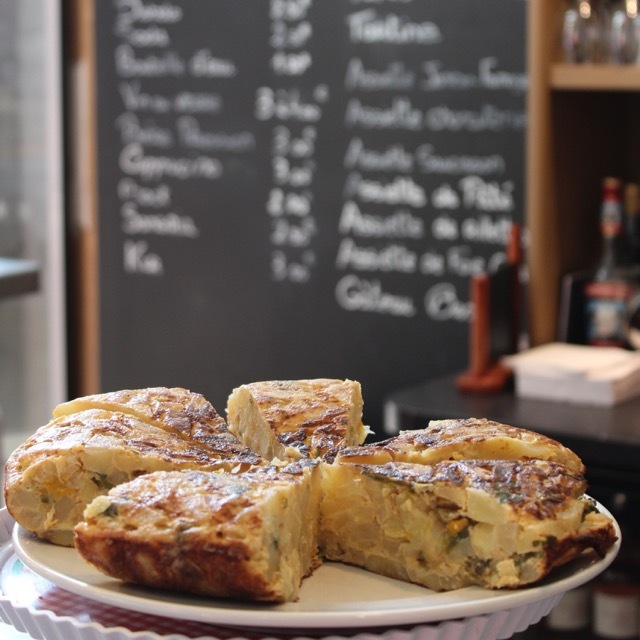 For lunch, we chose Puig & Daro maison de tapas just close enough to enjoy the crowd but not regret being in it (#34 rue Gambetta). 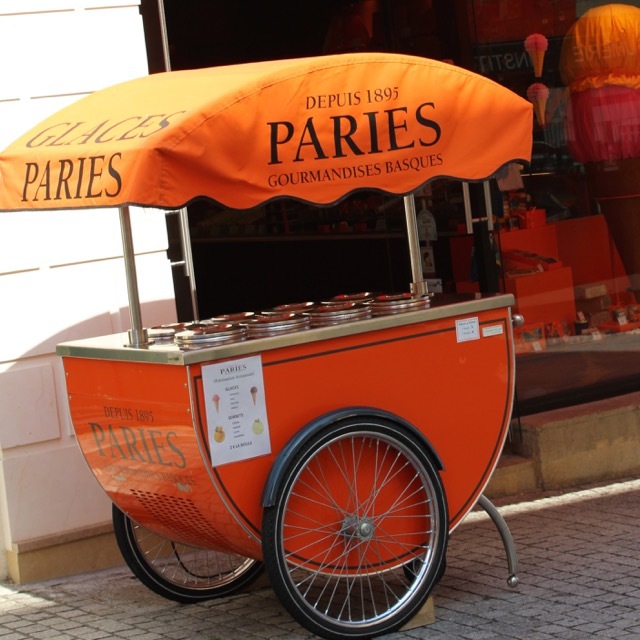 On the opposite side of the food halls, the Epicerie Arostéguy (5, Avenue Victor Hugo) offers local produce at the eldest gourmet store in town. 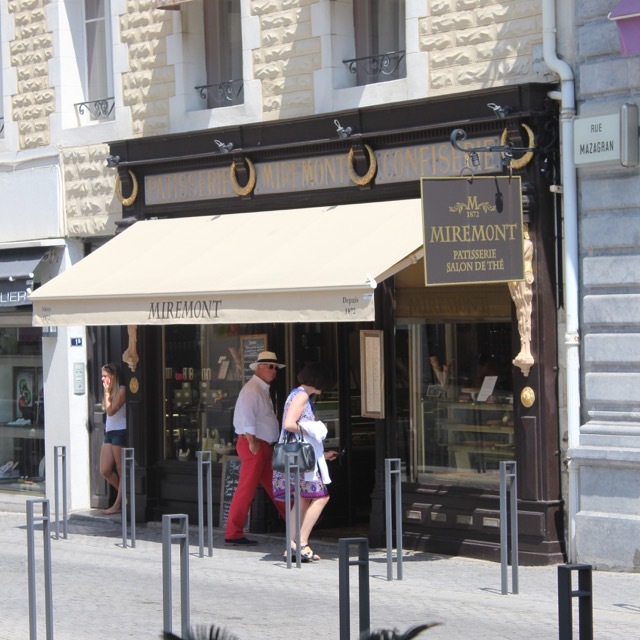 Late afternoon, after a seaside walk or swim at the beach, take a tea break at Miremont (1, bis place Clemenceau) to indulge in a patisserie. This salon de thé opened in 1872 offers wonderful views of the sea in a historic decor. Or, pop in to Paries (1, place Bellevue) to pick up Kanougas, a chocolate-caramel fondant created during the Russian era of the resort. You’re at the heart of the shopping district. 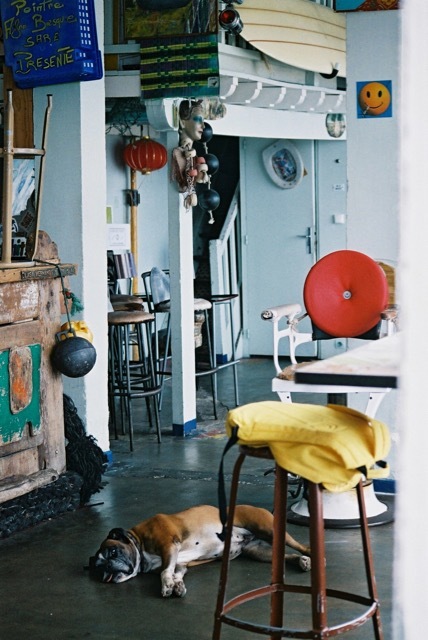 Rue Gambetta has taken an urban edge, nowadays animated by independent boutiques and eateries. US-inspired Wilbur Shop (#13) and Jazz the Glass (#44) are recent and eye catching for the bobo type. Our friend who lives on this street mentioned that the new Comptoir à Burger – CAB prepares a memorable burger and home made fries. If you desire bread to pair with your cheese bought on the market, pop in to the tiny Le Fournil du Marché further up the road. Creative breads of all types have the entire city lining up. 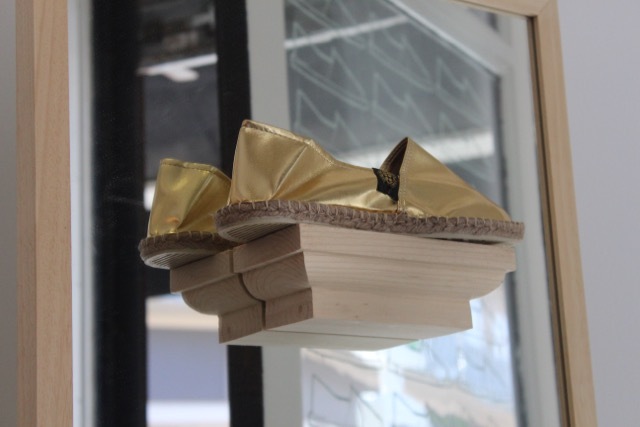 And after all of this meandering, you may feel like slipping on a traditional – or not so traditional – pair of espadrilles from Art of Soule (#28) that has a wild selection. For aperitif at sundown, the legendary Hotel du Palais standing proud over the Grande Plage is a classic. 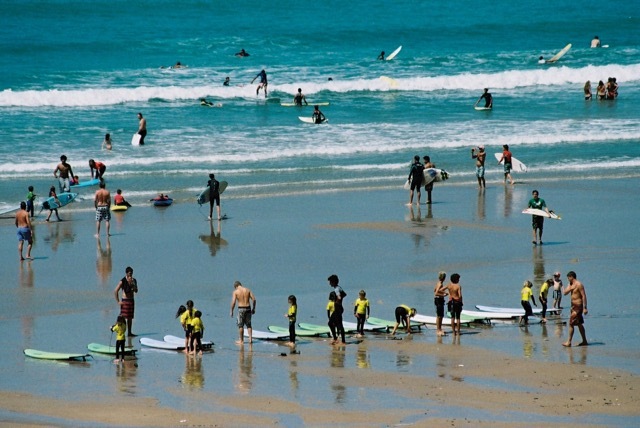 Guéthary: under 15 minutes drive South of Biarritz lays this quaint and shabby chic village, renowned for its surf and seaside vistas. Below its traditional homes, tucked along the promenade, is the cabana Kostaldea bistro-tapas-bar. One can spend hours here contemplating the view and simply enjoying life in a no-fuss style. And when night falls, climb back up the hill to Heteroclito for sunset, music and cocktails. 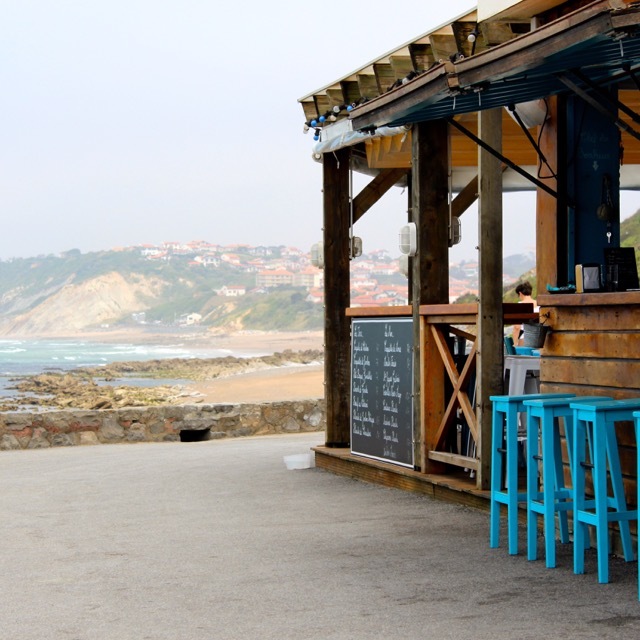 Bidart: in this bigger seaside town 10 minutes drive South of Biarritz, la Tantina de la Playa is our favorite eatery on the beach with a casual ambiance, serving incredibly fresh fish. Le Blue Cargo restaurant and beach bar is fun for dancing on tables after dinner. Also a fave, bello horizonte (430 avenue d’Espagne), a home and interiors boutique opened by a Dutch couple who moved to the area a few years ago. This is a place to scout creations by Belgian and Dutch designers, including large clay lamps revisited from antique urns, photographs and vases. For more insider finds (French only), pick up a copy of the 2015 Pays Basque le guide idéal, by altantica book house. Humor and good taste combined for off the beaten path travelers. 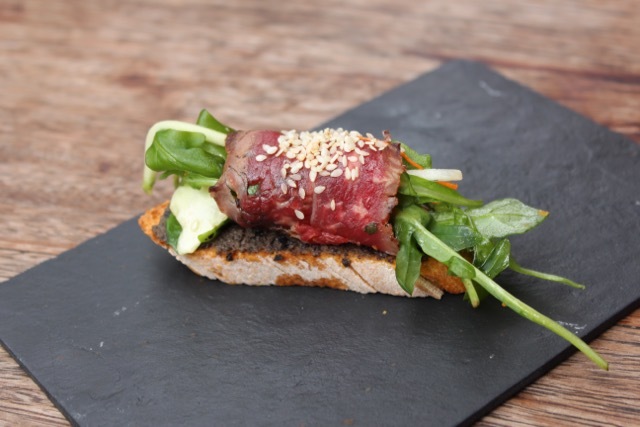 This entry was posted in Eat & Drink, Home & Interior, Shopping, Visit / Travel and tagged Bar, basque, Biarritz, bidart, Bistrot, boutique, guethary, Restaurant, Travel. Bookmark the permalink.